Greater ground clearance. Hoppers of great autonomy, individual, made of rotomolded plastic material of high durability. 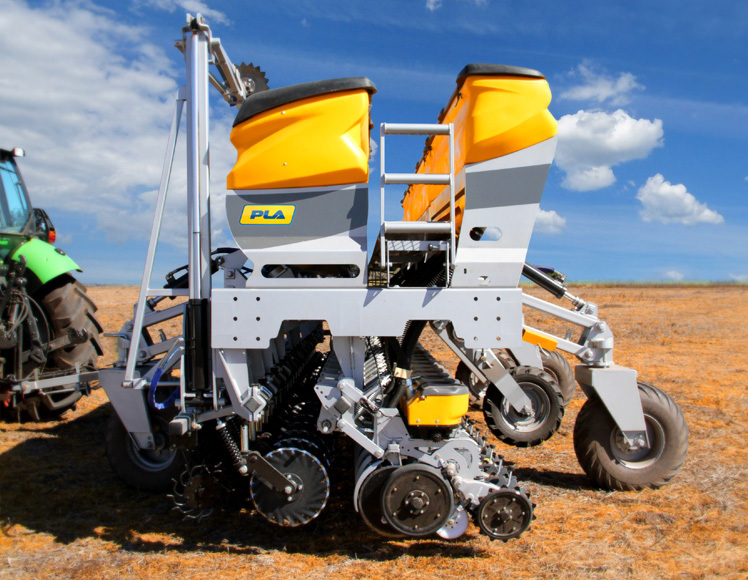 Its height allows the operator to easily access for maintenance tasks and distance adjustment of row units in case of reducing planting distance. Cardan transmission. 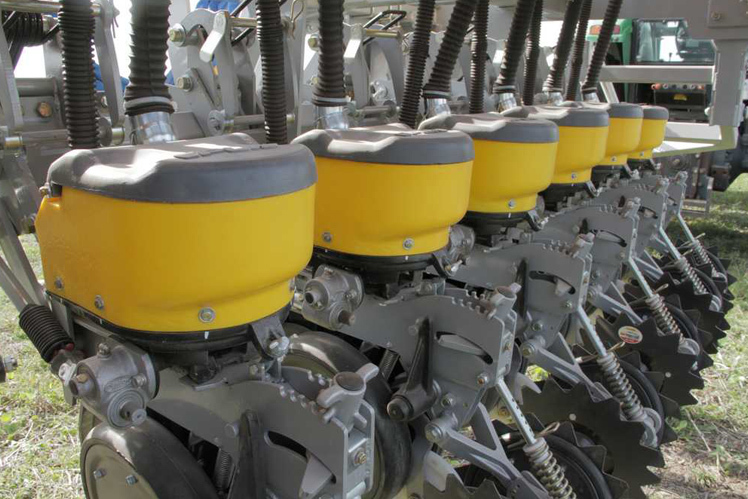 There are three different models: STP G 11 at 52 / STP G 13 at 52 / STP G 15 at 52. 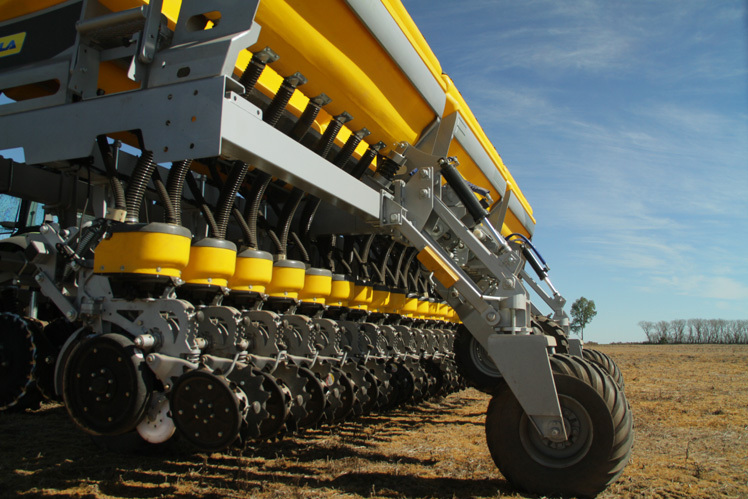 ● Robust and resistant modular chassis that allows to hitch 2 or 3 modules. ● 5775 mm – 6825 mm – 7875 mm modules. 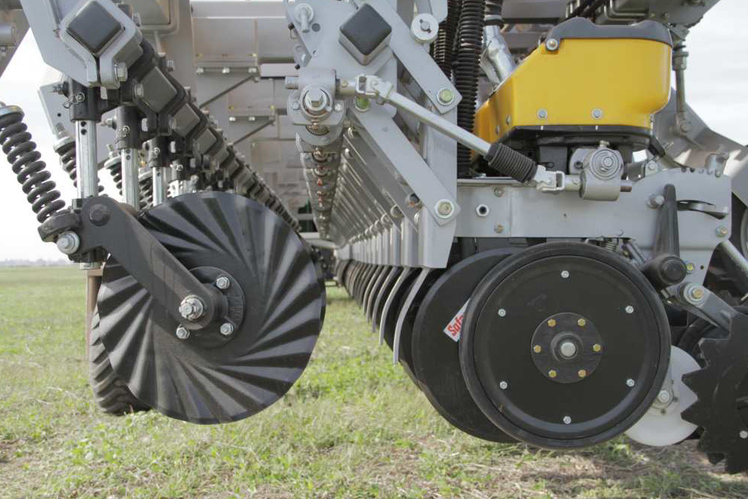 ● 35 cm to 70 cm row spacing, with 38, 42 and 52 row spacing alternatives. ● High ground clearance makes transportation in roads easier. ● Mechanical dose meter, horizontal plate / optional pneumatic, vertical plate. ● Transport width 3,60 m.
● Individual rotomolded monohoppers, with great autonomy.